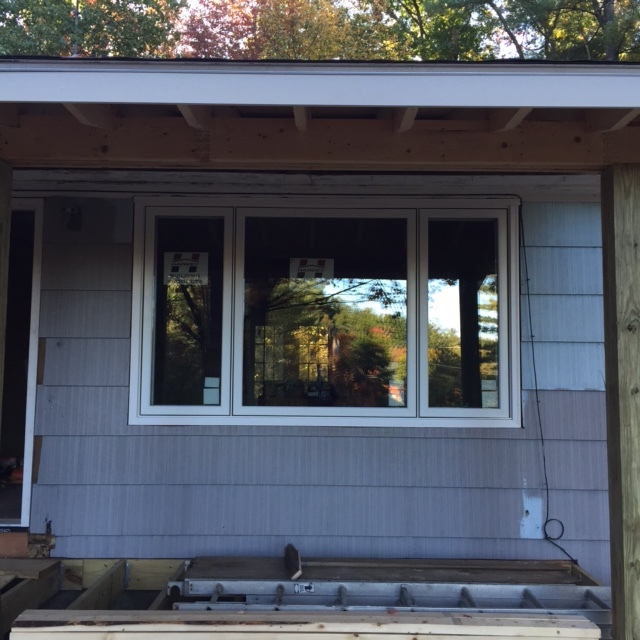 When I got to the house on Saturday my father pointed out all the framework he'd done on the replacement windows while I'd been back at work in the city. Makes a world of difference, don't you think? 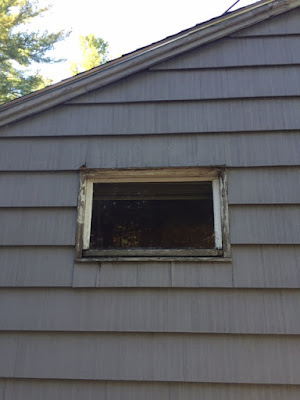 Look at how nice the picture window looks! 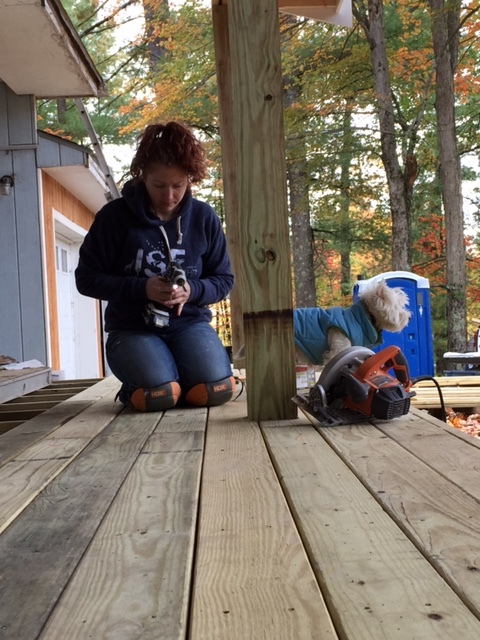 It being a nice day, we were working outside screwing the boards onto the deck frame. 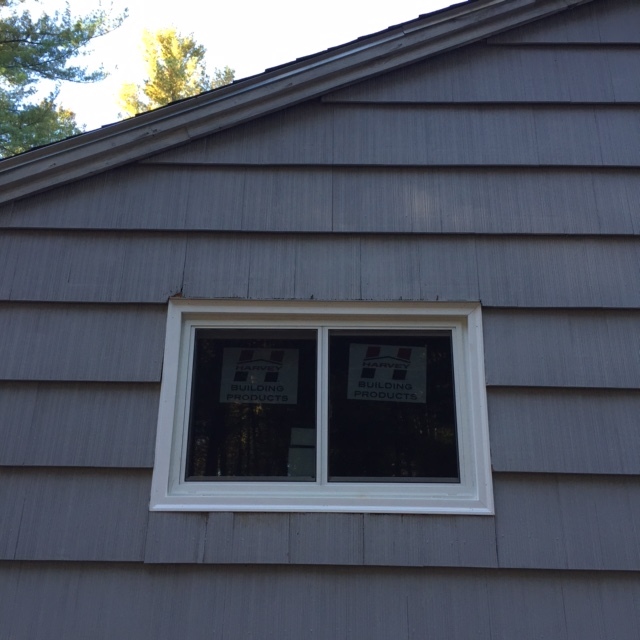 I did this last year on the New Hampshire house my father flipped. Aside from painting, this was my main help. So this year I knew not to ruin the bit (or else get yelled at). I was also puppysitting my main man, Nemo. I had him sit in a chair set back from the deck in the beginning, because I feared the loud noise of the saw and screw gun would scare him. 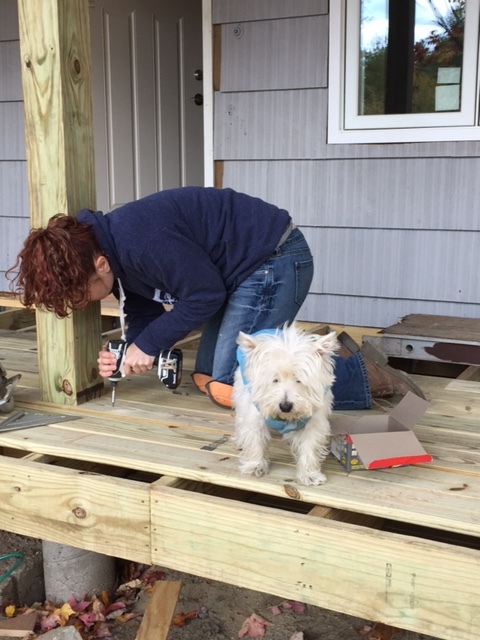 However, Nemo's desire to be as close to me as possible at all times overrode any noise issues (or maybe he's never been phased by power tools... he is pretty much the perfect dog) and so eventually I let him up on the deck. I think he just likes being part of whatever's going on. He's the best work supervisor. He made sure I was doing okay and checked to see if I needed kisses, and every time my dad walked by (they're best buds) he made sure to give him attention. 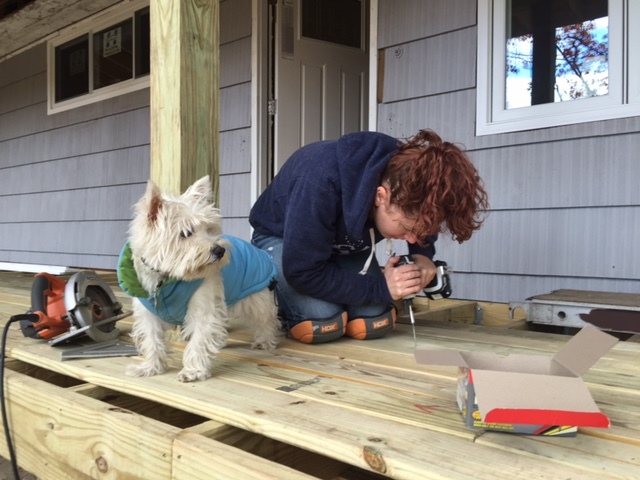 While I don't condone having a dog on site, because of all the nails and noise and sharp objects around, if you have a dog that just wants to be attached to you in some way and won't go running around (i.e. if you have Nemo) then it's not an issue. I imagine most dogs freak out around power tools. 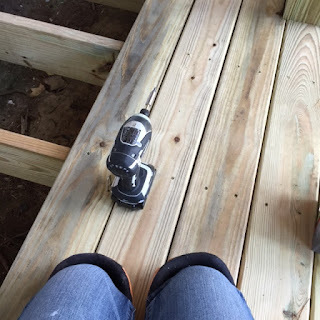 I mean nail guns scare me, they're so loud. So that was the weekend's work on the house. And I still managed to fit in a lot of relaxation and baking (made a second crisp of the season).